Ernest “Ernie” Oare had always been able to hold his liquor. And in his 72 years, he’s held a lot of it. For many members of the sandwich generation, Oare’s story may sound familiar. Faced with declining health—“I was ridiculously thin, and my liver was going,” he says—Oare entered treatment at Hanley Center in West Palm Beach, Florida, in January 2002. He returned eight more times before finally achieving sobriety in January 2008. Despite stereotypes suggesting addiction is a young person’s disease, Oare’s story isn’t uncommon. 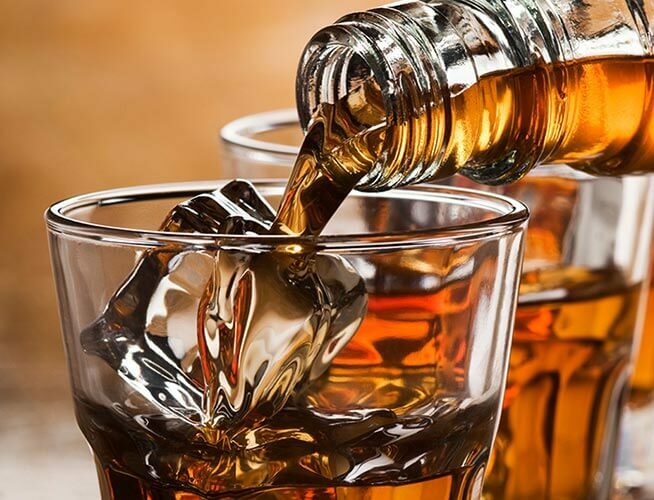 In fact, as many as 2.5 million older adults have an alcohol or drug problem, according to the National Council on Alcoholism and Drug Dependence. And with the number of adults ages 65 and older projected to increase from 40 million in 2010 to 74 million in 2030, that number will only grow. Addressing it as a society requires first addressing it as a family. Having those tough conversations begins with understanding the unique causes and consequences for seniors struggling with addiction. Aging creates a perfect storm of social and physical circumstances that leave seniors vulnerable to addiction. “Seniors have a host of medical problems, including chronic pain, sleep issues, depression and anxiety. They’re facing retirement, which can bring on boredom; and they’re often experiencing issues of grief and loss from the deaths of family and friends,” explains Dr. Walter Thomas, medical consultant for The Discovery House, an addiction treatment center in Los Angeles. Still, it’s tough for children to recognize warning signs in their parents, and symptoms can be hard to recognize as signs of addiction or substance abuse. They might include memory loss, changes in sleep and appetite, bruises from falling, irritability, balance and cognition issues or even a zombie-like state. Although loved ones often struggle to identify addiction, seniors’ age makes it especially important that they do. Treatment can be a hard sell for people at any age, but there are many incentives that children can use to persuade parents to seek treatment. “Sometimes it’s a medical issue,” says Raskin, who adds that senior addicts are more prone to falls. Those hoping to live independently will often opt for treatment over long-term medical care. Grandchildren can be a powerful motivator, too. “Family—grandkids, specifically—are one of the most significant reasons why older adults who don’t want treatment ultimately seek it,” explains Dyben. His grandson was a major motivator for Oare. Thinking about a recent visit with his son and two-year-old grandson, Oare knows that if he hadn’t gotten sober, visits like that wouldn’t have happened. “He’s my best buddy, that little one, and that wouldn’t have been that way. I probably wouldn’t have still been here,” he says. Dyben believes residential treatment and 12-step programs like Alcoholics Anonymous and Narcotics Anonymous typically are the most effective treatment option for addicts of any age. Whatever the age, the key to success is persistence.